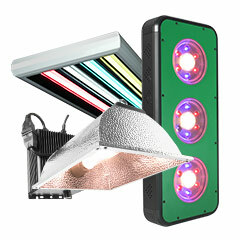 HTG Supply offers the best grow lights and Digital Ballast Grow Light Kits at the lowest prices. 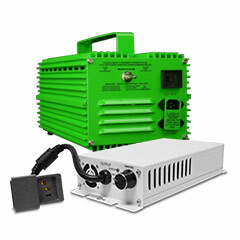 Looking for a top quality Digital Electronic Ballast Plant Grow Light system? What about our top of the line high-output LED grow lights?… HTG Supply has a huge selection of Indoor Grow Lights for every type of grow room, from beginner to hobby to professional gardens. HTG Supply carries only top quality grow light brands that have met our rigorous testing and performance standards, to ensure years of quality service in your indoor garden. 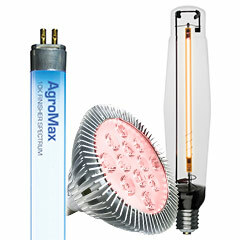 If you are looking for indoor grow lights, you came to the right place. 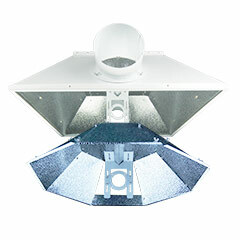 Our complete Grow Light Kits come with your choice of digital ballast (including dimmable digital ballast) choice of reflector hood and choice of specialty grow lamps to give your gardens the indoor grow lights they need for tremendous growth. HTG Supply has all types of Digital ballast grow lights available including 1000 watt, 600 watt, 400 watt and 250 watt, both dimmable ballast and standard ballast. The ballast is the part of the plant growing light system that converts normal household electricity into the correct current necessary to properly operate the lamp (bulb). 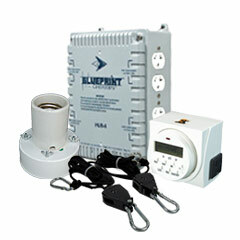 Our grow light kits are powerful, quiet and save energy compared to standard plant grow lights. They use less energy while producing more light. Add a Digital Grow Light Ballasts to save even more energy and designed to operate both HPS and MH Grow Lights without needing a “switchable” ballast. If you have any questions, please do not hesitate to contact us or if nearby, visit one of our retail locations. Learn everything you need to know about grow lights right here at HTG Supply! ?